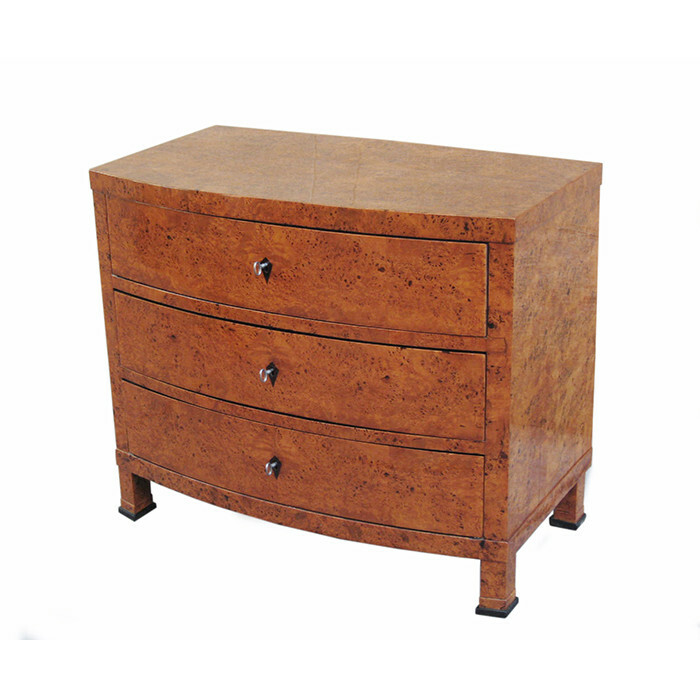 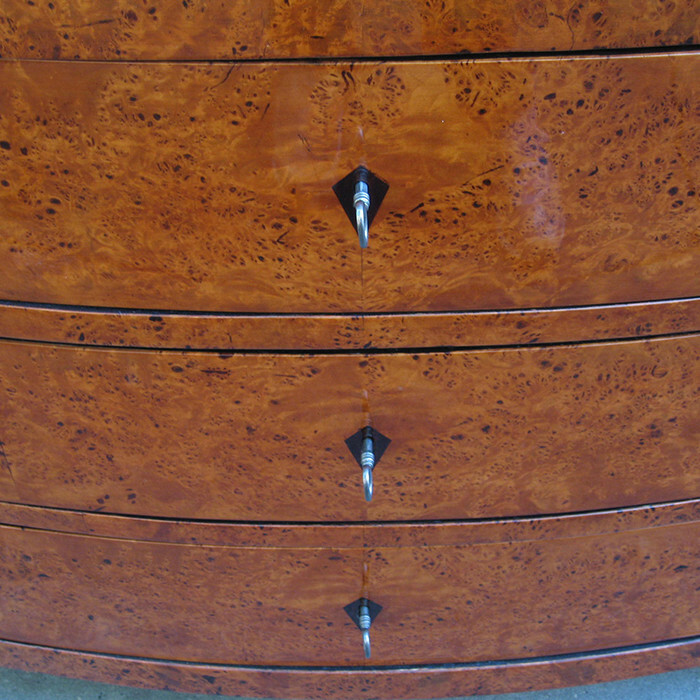 A fine Neoclassical bow front chest of three drawers. 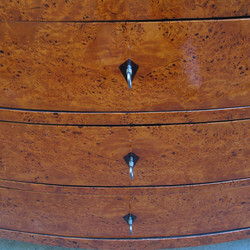 Karelian Birch with ebonized details and keyholes. Dimensions: H:33 W:38¾ D:21¾ Inches.